I have a few questions. 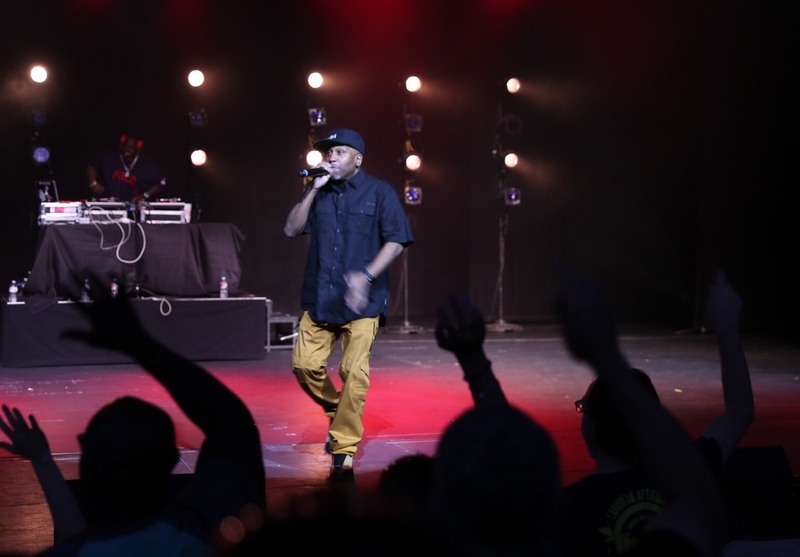 What would you hope to experience from a concert like the “I Love the 90’s Tour” which featured Young MC, All 4 One, Kid ‘N Play, and Rob Base? 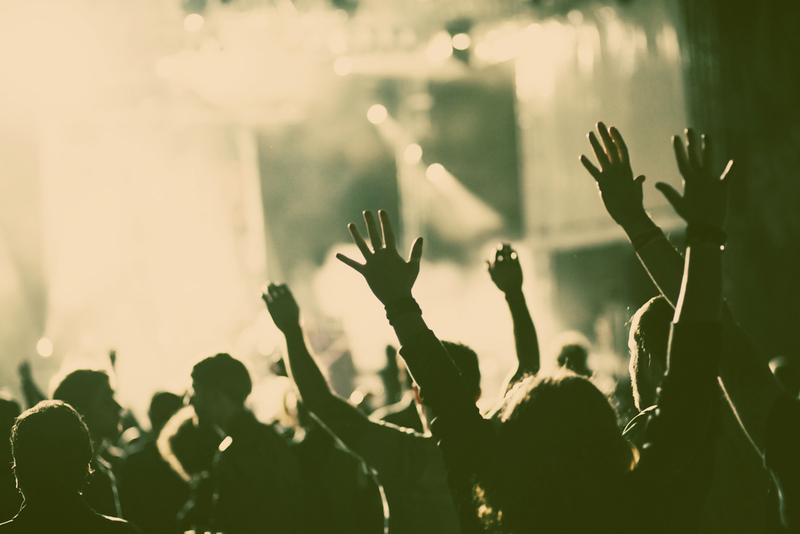 Is it being taken back to a great time in your life? Is it hearing songs of your youth performed live? Is it the hope that the bands you loved as a youth still sound as good as you remember? Were you just looking for a place to spend a beautiful warm summer evening with people having a great time? Well if so then you were in the right place on Friday night. The show opened with Young MC. He was on the stage less than a half hour, but he was the perfect artist to open the show. 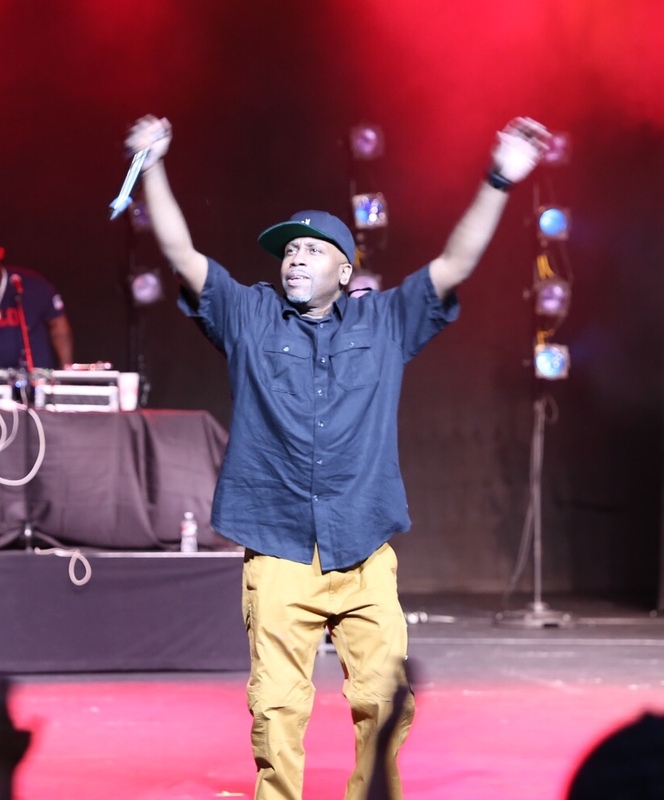 He did a song or two then he broke into the song that the still rolling in audience was anticipating to hear from him, the hip-hop classic, “Bust a Move”. The audience was on their feet, rapping every word to their friends and dancing like it was 1990. I’m sure Young MC has done that song a zillion times, but it still has to feel good to get that kind of reaction. 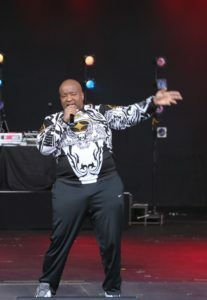 Young MC said that this was usually when his set was done, but asked if we wanted to hear “Fastest Rhyme” off of his debut album Stone Cold Rhymin’. The crowd was into it and he broke into the song which is appropriately named. The crowd cheered him on as he rhymed faster and faster. 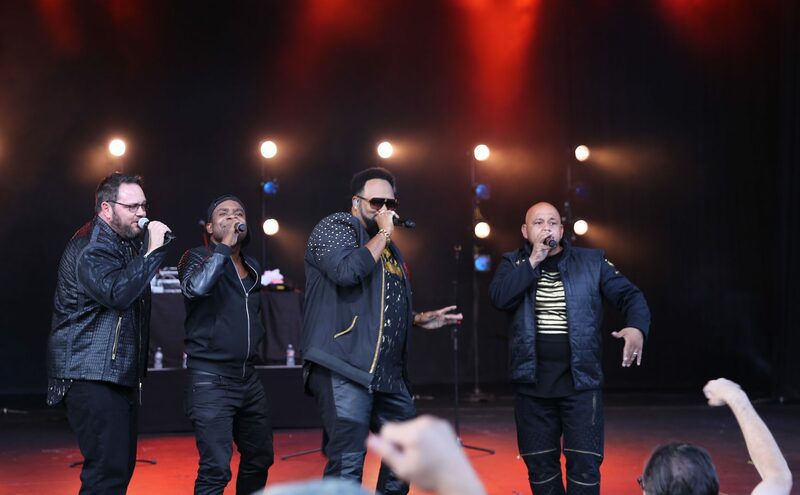 90’s R&B group All 4 One were the next to take the stage. They sounded as good as ever. You just never know how a group that has been around for over twenty years is going to sound, so I was impressed with how tight vocally they still were. Unfortunately, the turn out for this show wasn’t great. Let’s put it this way, I’m being generous when I say that the venue was half full. But I have to hand it to these guys, the Sandy Amphitheater could have been busting at the seams with fans and they would have performed no different. They interacted with the audience, made jokes about the altitude and even sang to some smitten women. I watched people slow dance to ballads like “I Can Love You Like That” and “I Swear”. I think I was the least interested in seeing All 4 One out of all the acts on this bill, but I came away from the show the most impressed with them. They were really entertaining. Kid N Play’s set was like a comet. Just a total blaze of fire then they were gone! I think my favorite part of their set was their banter. Maybe it was ad-libbed, maybe it was scripted but it was pretty funny and had the audience totally engaged with what they were saying. They, of course, did their hits. 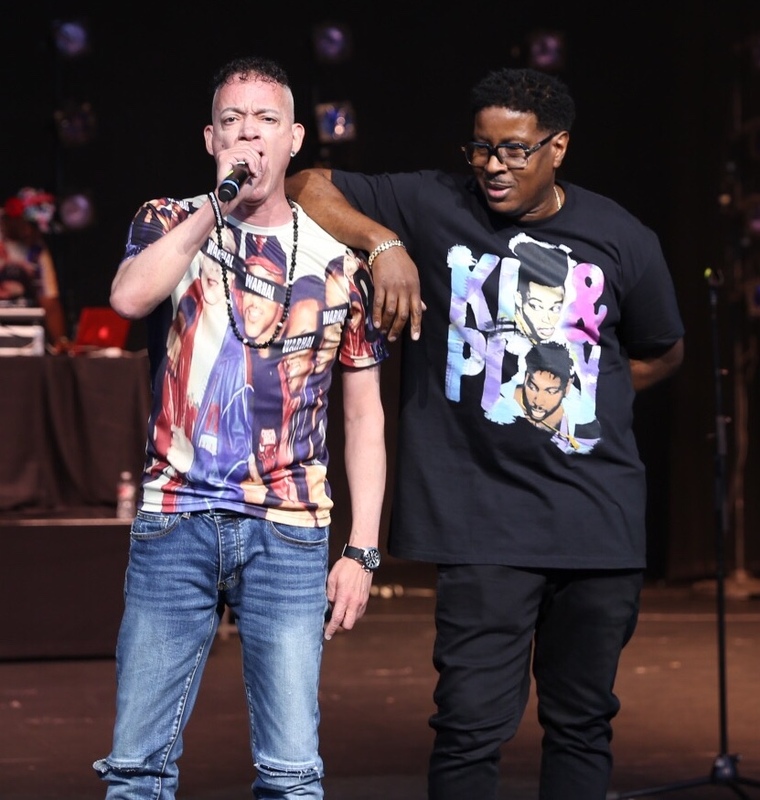 Songs like “Kid vs. Play” and Rollin’ With Kid ‘N Play” were the highlights for me. But the part I was looking forward to and as it turned out was in no way disappointing was when they did their signature dance. If you’re unfamiliar I’m sure there are clips on YouTube. But it’s when they do some sweet 90’s moves culminating in Kid hitting his foot to Play’s. It really took me back to trying that move with my friends. The artist I was most excited to see was Rob Base. In my neck of the woods, he was one of our favorite rappers. Everyone loved “It Takes Two”, but if you knew “Joy and Pain” it meant you were a true fan. So you can imagine my joy when he performed that song. Apparently, everyone in attendance was from my “neck of the woods” because the crowd shared my excitement when “Joy and Pain” started. And the perfect way to end the night was with “It Takes Two”. The Sandy Amphitheater tuned into The Bay for one night. Who remembers That Bay?! The song may or may not have been released in 1988, but that’s close enough to the 90’s right? I thought it was a really fun evening. I felt like the lineup could have used one more artist, or perhaps a clear-cut headliner, but that was really my only criticism. So yes, I was taken back to a great time in my life. Yes, I enjoyed hearing songs from my youth. And yes, they all sounded as good as I remembered. And yes, it was a fun place to spend a summer evening. The crowd wasn’t what I’m sure the artists or the venue for that matter was hoping for, but the show itself surely didn’t disappoint.